Sis change the title to "Taylor accepts olive branch/letter from Katy" or "Taylor/Katy feud ends"
And that's where it cuts off. You also see "deeply sorry for" a little further down. 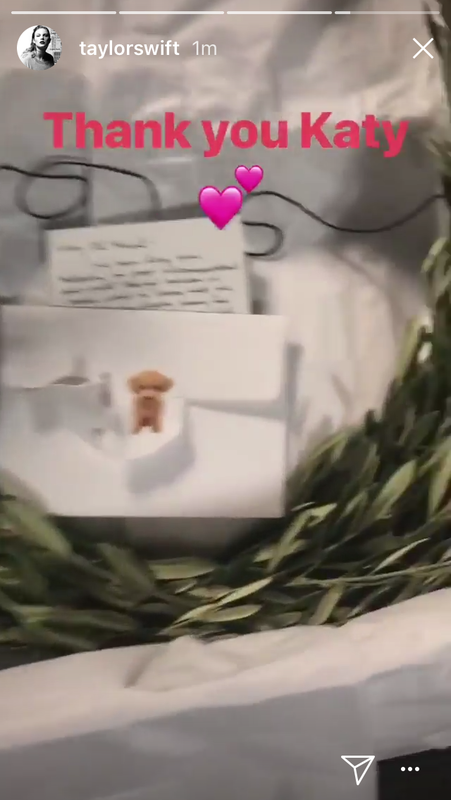 For those who didn't see the insta story, Taylor says "So I just got to my dressing room and found this actual olive branch...this means so much to me." That's great, they're finally not ennemies anymore. Katy must like her for real if she's writting to her after all these years. We want the duet now. Wow. Katy is (even more) cancelled. Sweet, but do people really still care about this feud?